One of the weird things we see on the Internet. 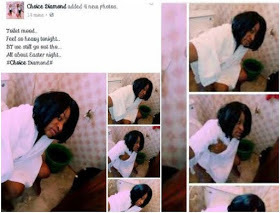 This lady took to Facebook to show to the world her toilet mood photos. There is nothing we won't see on the internet. Of curse we have seen more bizarre things than this before. 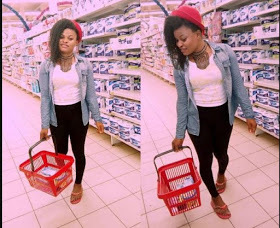 2 Responses to "Just Negodu: Lady Shares Her “Toilet Mood” Photos On Facebook(See Them)"